Which means we have brave dating practices that we believe in. 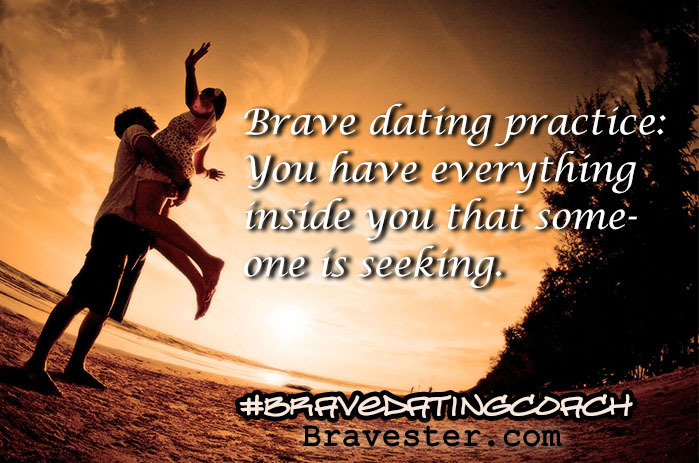 This blog is just putting our core brave dating practices in one location to get you started. We have so many good blogs to choose from! But these are the core. I must also mention this book–which I did not write–but has inspired me to start Brave Dating Coach. I have learned these things through what I learned in my 18 years of dating and through what I have learned from the thousands of grown teens I have been honored to walk with in my 36 years of youth ministry. This book summed up what I’ve learned to be true. So get this book. Are you ready to get started? Hear me, dear one. You are worthy of a good match. It’s not too late for you. You are not too damaged. You haven’t missed your opportunity. Truth is if you have learned a lot about you from reading just these blog posts than there is no way you missed your opportunity because that person you missed with would not know this much wiser person you are becoming. God has you. God is still faithful, even in this area of your life. God led you to this blog post, right?! God led you to get you started on some of your thinking errors and grow you so you can be the right match for that person He has for you. This is not God gobblygook. For some of you it is so hard to trust God, especially with this area of your life. This vulnerable area of your life. If this is you, read this. We’ve got you here! May we—through the work of the Holy Spirit—become the voice in your head as you navigate the complicated waters of dating on your way to find your love for a lifetime. You are a worthy match.